The same show will happen in Kitchener-Waterloo at Conrad Grebel Chapel the very next day, December 21 at 230 pm presented by the Open Ears Festival of Music and Sound. I’m really enjoying my work with this relatively venerable new music festival, and looking forward to this show and our big festival in June 2014. 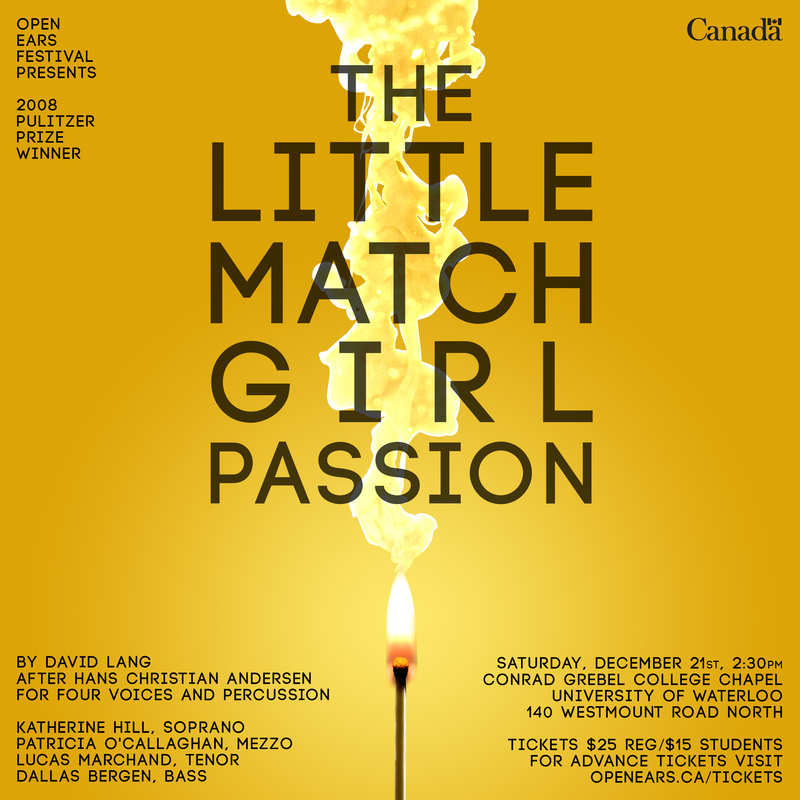 You are currently reading The Little Match Girl Passion, Dec 20 & 21 at Gregory Oh.